Golf is an amazing sport with secretive healing powers! It provides that rare opportunity for self-improvement, personal growth, and introspection simultaneously. After 40+ years, I continue to learn new aspects of the game and my life every time I tee it up. Nine years ago, I was diagnosed with non-Hodgkin’s Lymphoma and started the most important journey of my life. Fortunate to have my wife (who is also my best friend) by my side, we endured three years of treatment and continually strove to make positive changes to all aspects of our lives. Unfortunately, in March of 2018 I was diagnosed with my second bout of the same cancer. After completing an autologous stem cell transplant, I am happy to say that I am well on my way to good health. I still have many months of recovery left, but that is my journey for now. During my treatments, there were many dark days that occupied my thoughts. This is when the healing powers of golf played a significant role in my recovery. Nearing the end of my first treatments, I decided to embark on a journey of writing and positive growth through this golf blog. In May 2012, The Grateful Golfer was launched. My intent was to talk about the positive aspects of golf, interact with like-minded golfing fanatics, and to have a constructive exchange about all things golf. The Grateful Golfer has morphed over these six years, but the main goal of improving my mental strength continues to expand. As The Grateful Golfer grows, I strive to freely share tips, drills and positive views about this fantastic sport. Fortunately, I love playing, talking, watching, and reading about golf; so follow along and feel free to share your thoughts! I am The Grateful Golfer! See you on the links! Thanks for the positive words. My recover is going well and I am getting stronger every day. The opposing grip sounds interesting. I will give it a try in the spring when I am back on the course. (Still have to go through 5 months of winter) From what I can visualize, it prevents excessive wrist movements and allows your swing to be square on impact. I will have actually try it to make sure. Thanks for suggesting something new. I hope you enjoy reading my blog moving forward. Dear Jim, Just found your blog, and like it very much. I’ve pioneered the formal economic analysis of golf and you might get a kick out of my books. Check them out. Golfonomics was published in 2004. And Super Golfonomics was published in 2014. Thanks very much for the information. I will take a look at your books. It was nice to learn more about you and why you blog. Cancer can teach us so many things. I understand how cancer could change your view of life. My husband died from cancer after a three-year long battle. So, I try to live the best life that I can to honor him and to provide a role model for our sons. So, my best to you and your wife as you continue to enjoy all of the really important things of life. Perhaps my poor golf game will improve by reading your site! Miracles do happen!! Thank you very much. My condolences on your loss. I hope your golf game does improve as well. Love the new look and feel to your blog, Jim! Well done! No Problem! I really enjoy your blog! Really like the site. Always nice to get an individuals perspective on the game! I have checked out your site. It looks interesting. Thanks for the comment. 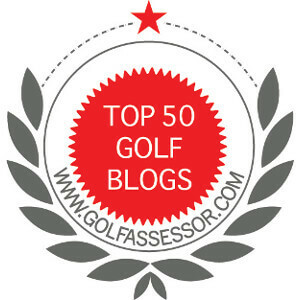 Feel free to check out mine at http://gpgolfreport.com/! Thanks for the comment. I did check your site. Well done. Thank you for the “like”! 🙂 Nice blog! Thank you. Welcome to the Grateful Golfer. We are new golfer family. Will be happy to follow you. Welcome! I hope you enjoy reading about golf. I checked out your site, great concept. Enjoy your travels!